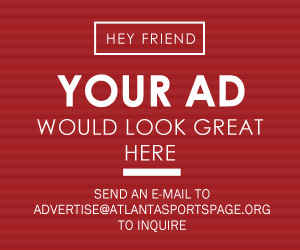 The Atlanta Braves are stuck in a situation that not many other professional sports teams have to deal with. Their owner is not a person or group of people, it is a company. Liberty Media acquired the Braves in 2007 for $1.5 billion from Time Warner as an investment. There is a major problem with this, however. For the most part, Liberty Media does not care whether the braves win or lose. Only how much money they make on a yearly basis. If winning helps with that number, great. If not, they do not care. Braves revenue saw a massive spike in 2017, mainly due to the opening of SunTrust park. While the 2018 numbers have not yet been released, many believe the revenues will be higher than the previous year. This comes as good news to the owners, in addition to many Braves fans. As the team performs better, more fans want to come to the games and watch them play. That means more ticket revenue, more merchandise sales, and more people at the Battery before and after each game. Hopefully, all of this will allow ownership to expand the payroll budget not only this year but also for the foreseeable future. The 2018 payroll was a franchise record $130 million. 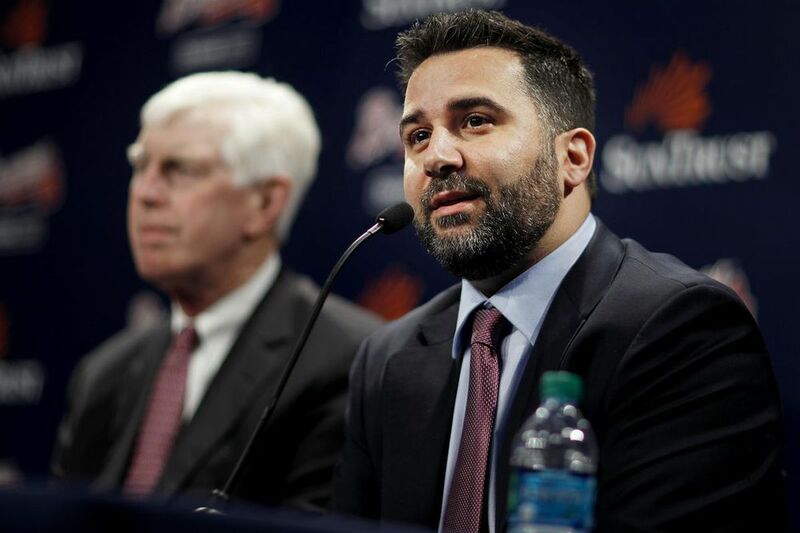 At the start of the season it was less, but after the success on the field, the front office got the go ahead to make moves and expand payroll a bit to the $130 million mark. A great sign from ownership, many hope a continuation of success and growing revenue numbers will contribute to a higher payroll for the next few years. Unfortunately, the front office has not made any moves to suggest payroll will be expanded. At least not for the start of the 2019 season. Currently, the Braves have a payroll at about $105 million. This is before they must pay all the pre-arbitration players like Ronald Acuna Jr, Ozzie Albies, and many others. While they will all get around the league minimum of $555,000, that will add roughly another $5 million in salary. Therefore, if the payroll is the same for this year as last, the Braves have about $20 million they can spend this offseason. Sadly, many of the free agents that have been linked to the Braves have signed for most of that budget just by themselves. One way to combat this is to acquire players via trade. Many players available on the trade market are less expensive monetarily than through free agency, they just cost more prospects. Thanks to the rebuild over the past seasons, the Braves have many prospects to use as trade capital. That helps the payroll situation tremendously, being able to improve the club without paying a huge amount in salaries. The problem however is that the only way to continue the success of a team is to have good, young players join the major league roster every year. If those prospects are traded for major league talent now, they will still become MLB players, just for other clubs and not the Braves. Another problem with not expanding the payroll is the inability to give away draft picks and international bonus pool money. The dark days of John Coppolella have decimated the international money, meaning the braves are not able to sign players overseas this year or next. While some teams can cope with this penalty, a team with a below average payroll cannot. Therefore, hanging on to every draft pick available is paramount to the future success of the team. While the pick will not help the team win now, it can infuse youth and energy into a competitive club a few years down the road. It will also keep payroll down, which is an added bonus. This is the main reason why the team has not signed A.J. Pollock. While the braves have a corner outfield need, and they have the money available to sign him, Pollock would cost the Braves their third highest draft pick, a 2019 second-rounder, due to him declining his qualifying offer from the Diamondbacks. While the move could still happen, the front office simply cannot afford to give up the pick and hopeful future contributor to the franchise for a couple of years now. Overall, the front office will have to get creative for the Braves to be very competitive in the coming years due to their payroll situation. 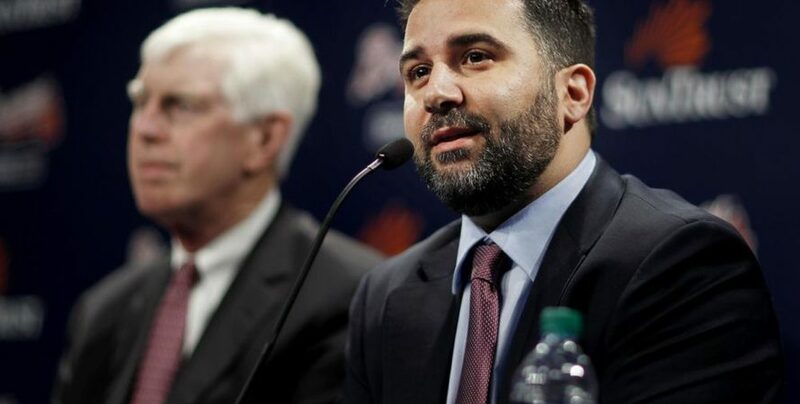 Not having the amount of money that many teams have access to means that the Braves must draft well, retain their good talent for cheap, and go after middle tier free agents willing to accept lesser deals. While it can be done, in today’s society it is very challenging. Hopefully Liberty Media is willing to increase the payroll budget soon and allow this solid core of a team to compete for championships for the next decade.